While perusing the aisles of Asda a couple of weeks ago there were a few things from George's make up range that caught my eye, one of which was their Cheeky Tint! (their exclamation mark not mine!) in no.2 Pink Blossom. This is a cheek and lip tint that comes in two shades, I chose the lightest of the two as I have a small bottle of Benefit's Benetint and the strong red colour doesn't suit me too well so wanted something a bit pinker. 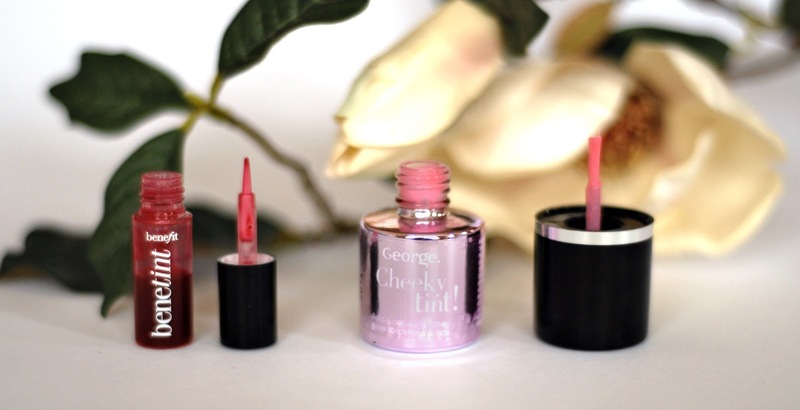 The Cheeky Tint comes in a nail varnish style pink bottle (very shiny! I had a bit of trouble taking photos of it just in daylight) with a soft brush, the brush is nice on the cheeks but for the lips its a bit too soft to get a defined line at the edges so I use a lip brush to apply. This tint is quite a lot lighter than Benefit's Benetint and has a colour and consistency a little closer to Posietint- a blue undertoned pink half way between a liquid and a cream. The forumulas are quite similar in the fact that if you buff at it too much then it just disappears and the Cheeky Tint is more sheer so needs two or three layers to get a good depth of colour. It blends out easily with fingers but Ive been dabbing on two or three dots at a time with the brush and then blending with my Real Techniques Kabuki. Apart from the softness of the brush on the lips, I found there were a couple of other downsides to the product- I get a strange tingling on the lips as it dries which isn't uncomfortable but was a bit expected, it also takes quite a while to dry which can be annoying but at least doesn't dry my lips out when it's on. I found that as it's a tint rather than stain it does tend to fade after meals and throughout the day, my lips still look pink rather than red but it does need topping up for brightness. Despite the downsides I think this tint looks really natural on the cheeks and lips, it gives a nice wash of colour that can also be built up but has that rosiness on the cheeks that makes you look like you have a bit of a glow. I think it looks a lot more natural than a powder as it blends with the texture of your foundation to look more like skin rather than just sitting on top. George also do a Cheeky Tint in the colour Rose which is a bit darker and redder, and while at Asda I also picked up a cream highlighter and a blush stick from the range so will be writing out a couple of reviews for them soon. George Cheeky Tint applied to lips with a lip brush and blended out on cheeks with a Real Techniques Kabuki. Taken with Iphone 4s, natural light. 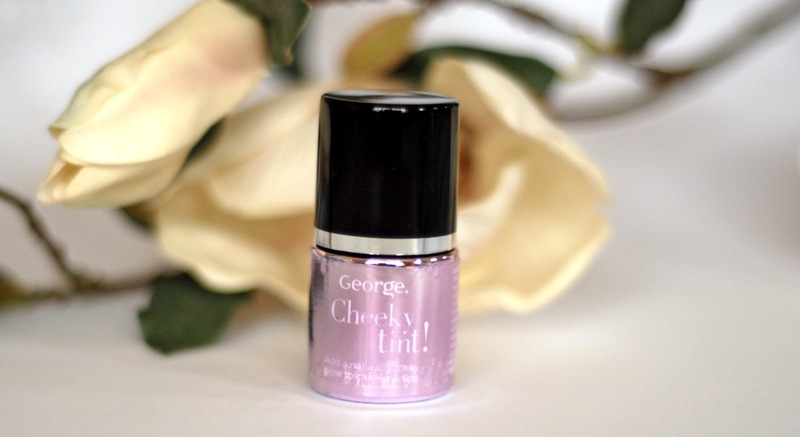 The George Pink Blossom Cheeky Tint is available for £3.50 at Asda so if you're looking for an affordable alternative to the £24.50 Posietint then I think this is a great contender (you can also get it sent with your shopping if you do it online which is a little plus!). It's a little like posie tint, isn't it? Looks great on you! 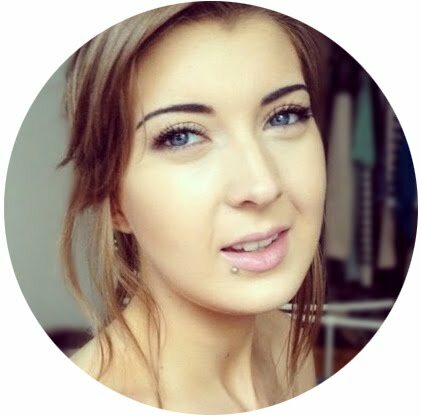 Hope you can check my blog out too!